Gaming was such a nonchalant activity not so long ago. Today it is one of the most competitive ways to spend your time at home and also to earn money. Because of this increase in complexity and competition, communication became one of the most important aspects of gaming. Today we are going to show you our choices for the Best Microphones For Gaming. Some of these are among the best microphones, regardless of your application. With that said, when we discuss our list, we will go deeper into what makes a good gaming microphone and take it from there. M-Audio is a name that is much more popular in the world of bookshelf speakers. However, they have proven to be able to build a decent condenser microphone that is cost efficient and yet full of great features. M-Audio Uber Mic is not mentioned without reason. As soon as we go over the base, you will absolutely understand why. To begin with, it packs three condenser capsules instead of the regular one. You can immediately expect a significant improvement in performance. Then we have four different polar patterns to choose from, a built-in display that lets you know which mode you are in and much more. Overall, this is one of the best microphones for gaming to buy right now. An incredibly strong stand offers plenty of stability. When it comes to good game equipment, it is very difficult at the moment to beat Razer. They make just about every peripheral you can think of, including condenser microphones of all things. Razer Seiren X is not only a great device, but it is probably also one of the best solutions for gaming. When you take away all the cool stuff, it is essentially a legitimate condenser with a large diaphragm. 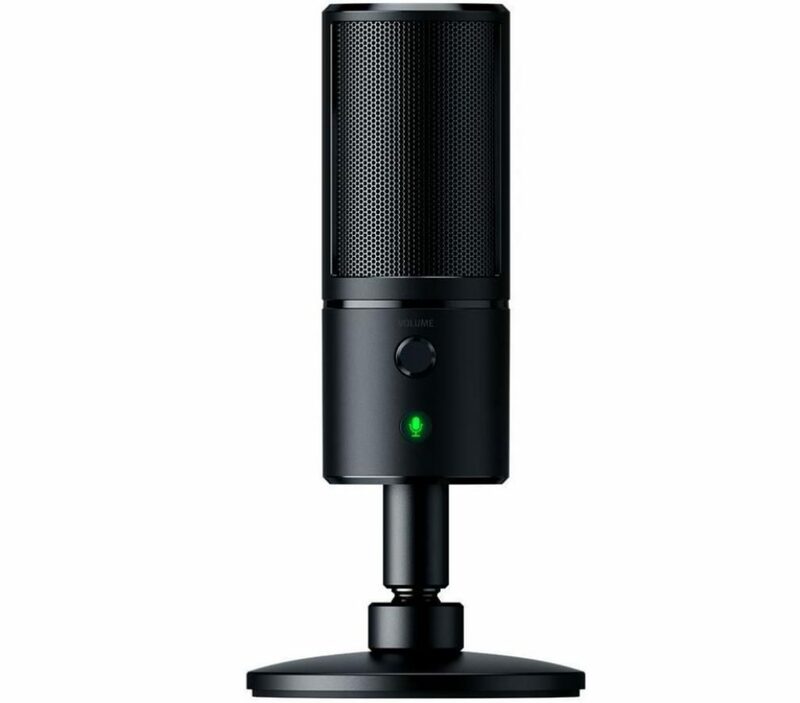 What Razer has figured out is that reducing vibrations is the name of the game when it comes to desktop condenser microphones. That is why Razer Seiren X comes with a built-in shock mount. 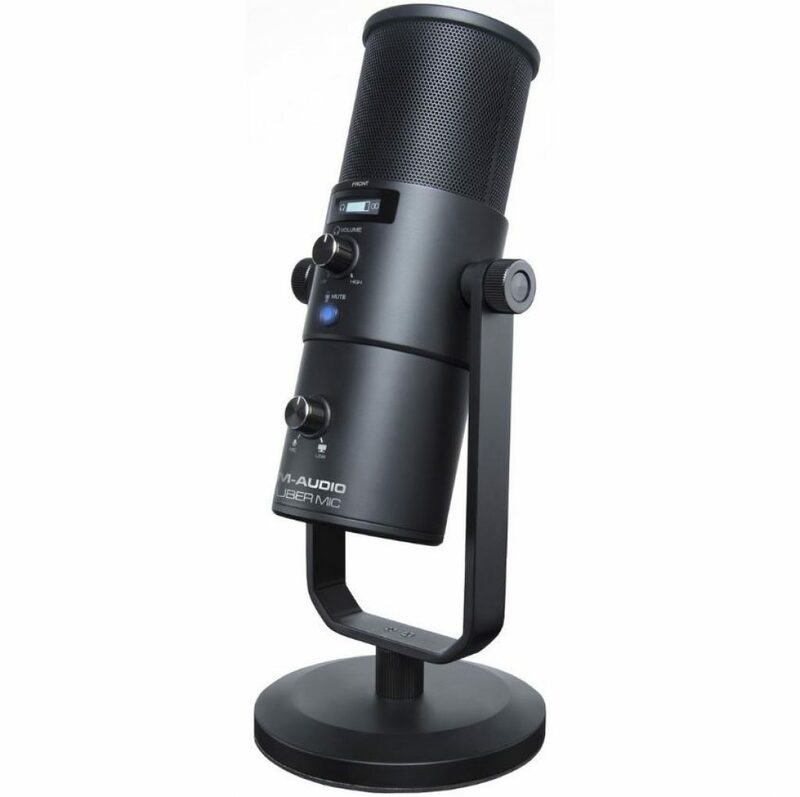 Moreover, it sounds really great and is one of the best microphones for gaming. A smart design which is optimized for desktop use. The microphones from Shure are by far one of the best on the market. This applies regardless of whether you are looking for a professional model or something casual that can be used for gaming. Shure MV5 fits somewhere in the middle. It is an awesome condenser that uses special presets to modulate the sound and make it suitable for different applications Where it really stands out is design. Shure has made a spherical condenser that works perfectly with its standard, but also without it. The moment you decide to do something more than gaming, you only need to place the microphone as it suits you or install it on another platform. Such features make it one of the best microphones for gaming right now. Build quality that offers durability and reliability. Features which are streamlined for a more user-friendly experience. Could really use a built-in pop filter. 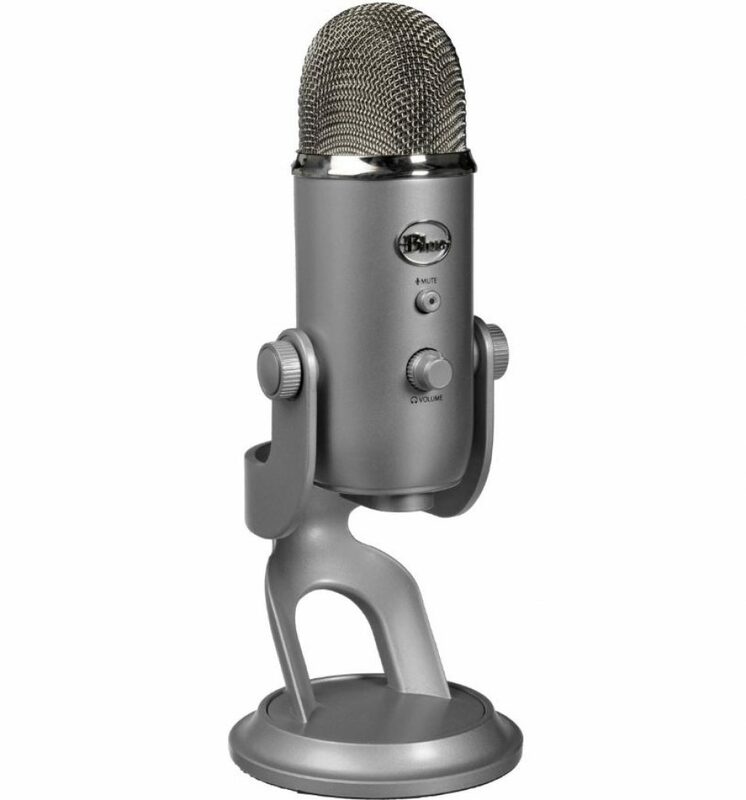 When it comes to gaming and content creation, Blue Yeti is still one of the best setups on the market. It is a proven package that you do not have to worry about. One of the best things about this silver pill is the fact that Blue has now smoothed everything out. You invest in a great microphone. 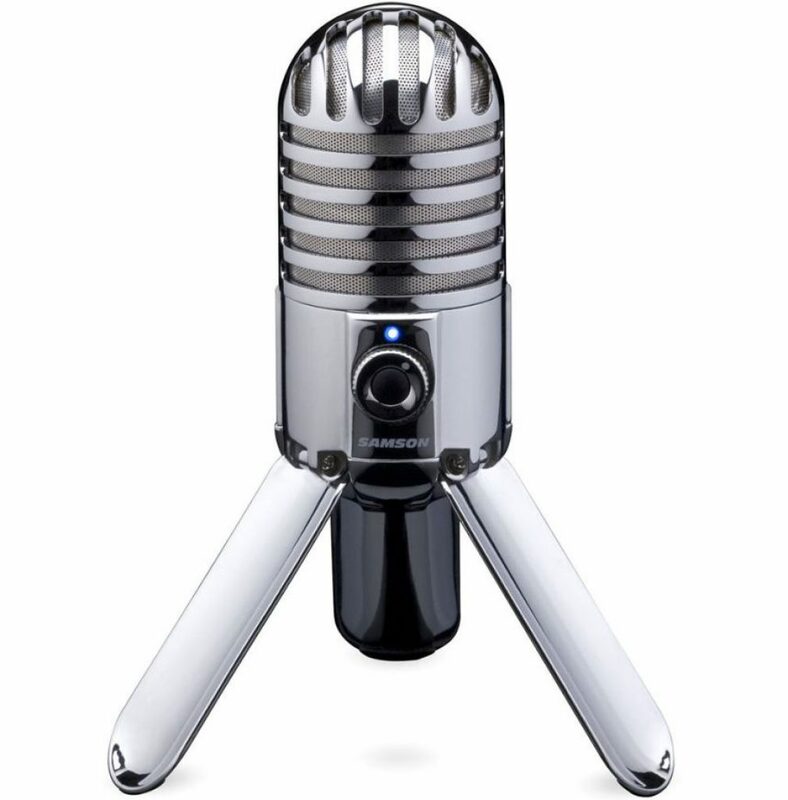 Even more striking, a Blue Yeti is the type of microphone that offers everything. We are talking about excellent build quality, a bulletproof standard that prevents unwanted movements, and a package of functions that push this microphone far beyond its weight class. If you do not feel like getting too involved in condensers, Blue Yeti is one of the best microphones for gaming right now. Blue Yeti isn’t exactly the smallest microphone on the market. Compared to most other condensers on the market, Blue Nessie does not look so serious. However, it is absolutely serious. It is a perfect desktop design that offers pretty advanced performance and functions in a format that is extremely user-friendly. Because of this, it is an excellent choice for gaming and other similar applications. The functions we are talking about are not exactly common. Instead, you have different recording modes that push the signal through a process that solves everything and gives you an immediately polished product. If you do not have time to adjust your audio, it is useful to have something that it does for you right away. All-in-all, this is one of the best gaming microphones to buy right now. A great overall performance which is more than enough for gaming. Built-in features that make performance tweaking super easy. It’s bound to its desktop stand and can’t be mounted. 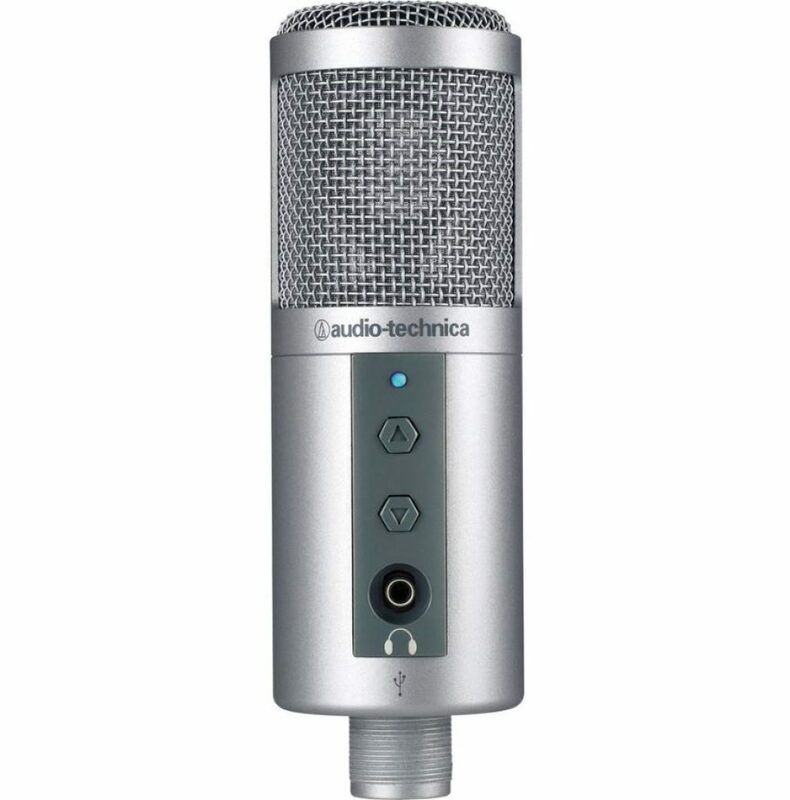 The entire USB segment of the condenser market would not be complete without at least one Audio Technica model involved. It turns out that they offer a lot. The one we think is suitable for gaming is called ATR2500-USB and it is pretty impressive. The features and overall performance that it offers to make a great fit altogether. For starters, it is a compact version that takes up very little space on your desktop. Audio Technica delivers these with simple tripods that are low profile and fairly stable. If that does not work for you, you can always mount it on something else. 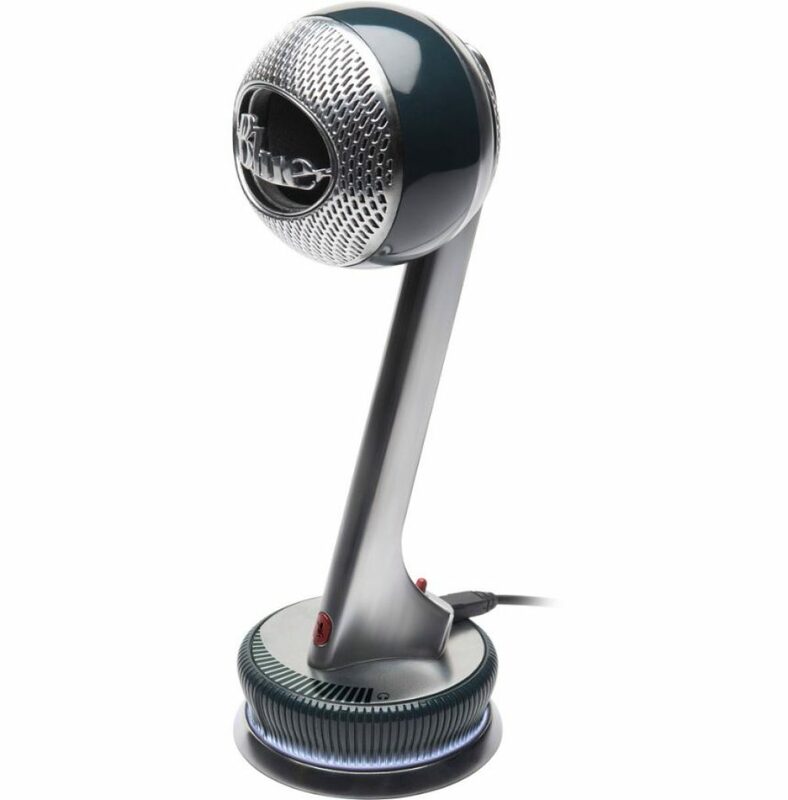 The controls are simple and easy to reach, while the pairing of this microphone with your computer does not take time. Such specs make it one of the best microphones for gaming right now. A functional design works in all environments. Great performance thanks to Audio Technica’s proven hardware. Simple control layout that is user-friendly. Designing a good PC-focused condenser microphone has to do with much more than just the hardware in it. Just because you have a capacitor that uses USB instead of XLR does not mean that it is suitable for gaming or other applications related to a desktop computer. Samson is one of the few brands that understand this. Samson Meteor proves the same. They have essentially taken a very vintage design and modified to meet modern standards. One of the cool things about this microphone is the integrated tripod that offers both stability and adjustment. The hardware in the microphone is also great. Samson used a suitable diaphragm capsule for this build, making it one of the best microphones for gaming. A built-in tripod that is very stable and functional. Compact size means it doesn’t take too much space. As you will probably notice, Blue is quite popular when it comes to gaming-focused builds. 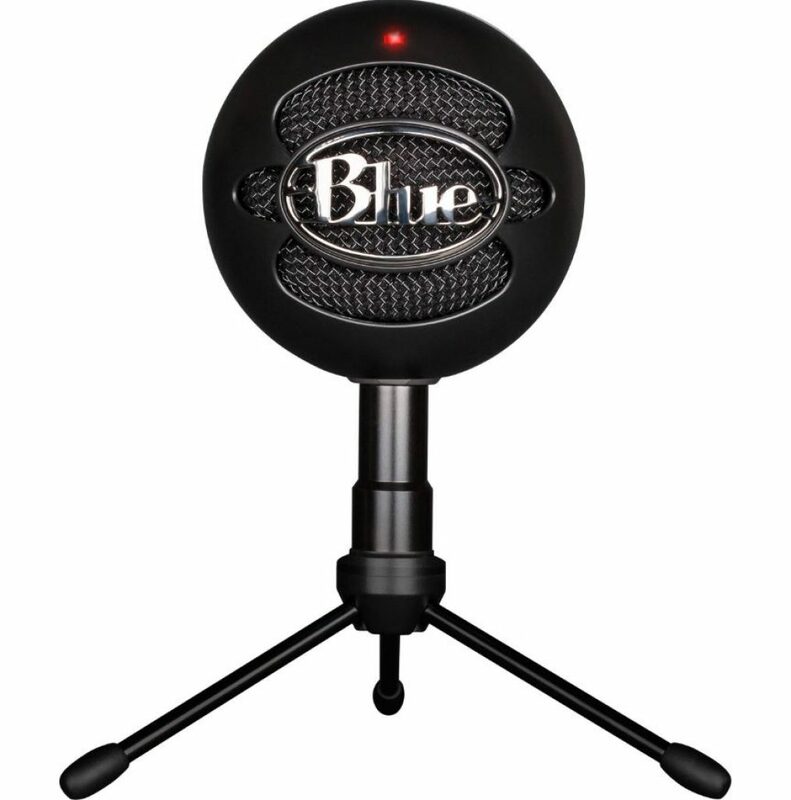 Blue Snowball ICE is another example of such a model that really deserves to be mentioned when this topic is discussed. It offers great functionality and performance, all packed in a compact chassis. Moreover, it also helps that it looks good. 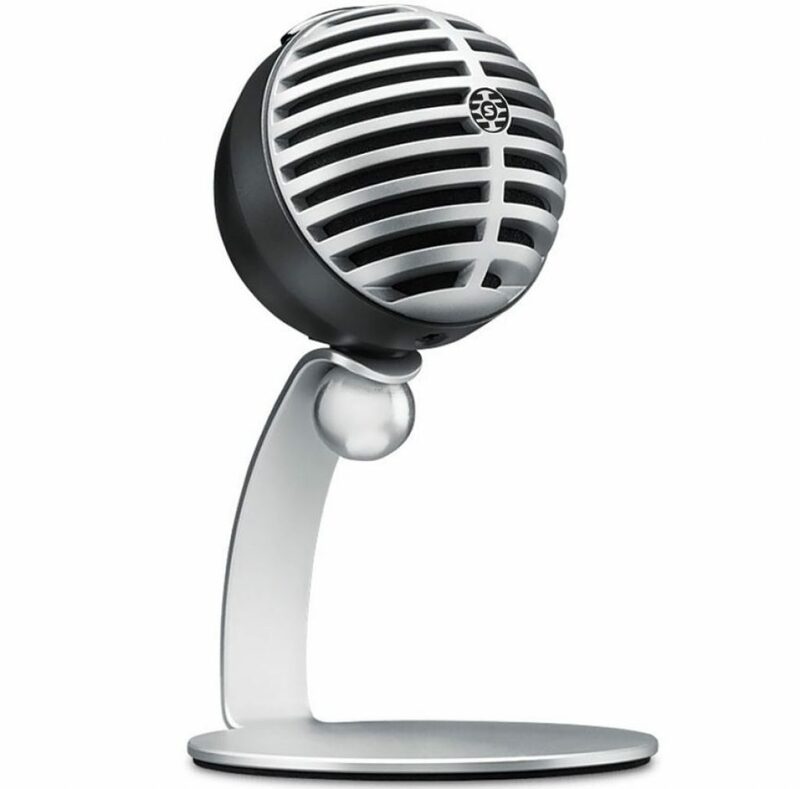 Like the Shure MV5, Snowball ICE uses a somewhat unorthodox range of functions. Instead of manually adjusting attenuating or high-pass filters, this microphone has built-in recording modes that do all the work for you. From a gaming point of view, it is a very simple and functional package that you can use on a daily basis and is one of the best gaming microphones that you can buy right now. Functional recording mode makes dialing in a good sound easy. The factory tripod isn’t really the best. When we think of gaming, we usually think of a living room console or a beastly desktop PC. However, there are also people who play on a laptop. As such, you may not always want to play at home. If you meet this description, Samson Go Mic might just be a perfect solution for your daily gaming. It is super small compared to almost everything there is, but it delivers a good condenser performance. Unlike most other compact condensers, it comes with a weakening tab and an adjustable polar pattern. Best of all is that you can cut and delete the right to your laptop screen after you’re done. The sound quality is really great that makes it one of the best microphones for gaming. Features that you rarely see on full-sized condensers. It tends to move around if you don’t clip it. If you are really limited by your budget, there are still some great options available to you. Models such as the Zalman ZM-Mic1 are simple, durable and ultimately efficient tools that can do the job. The advantages of this specific model are numerous. For starters, it is small and light enough to click anywhere you want. What most users do is plug it directly onto the headphone cable and do so. That way the microphone is always exactly where you need it. 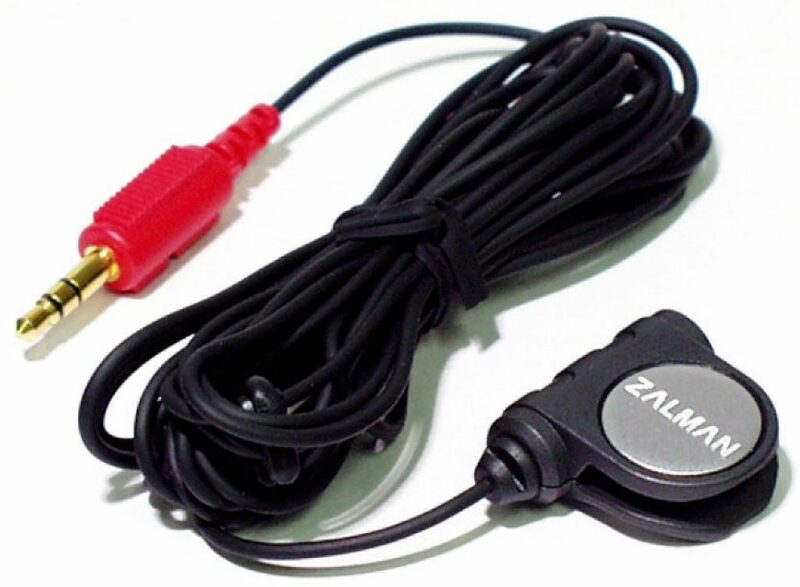 In terms of sound quality, we can say that Zalman Zm-Mic1 works fine, considering the price. Thanks to the long cable you will certainly not feel limited while you actually wear it. At the end of the day, it was a tough task between the Razer Seiren X and the good old Blue Yeti. In the end, we stayed with Razer, simply because their package was optimized for the subject we were discussing today. With that said, each of these microphones in our Best Microphones For Gaming list will give you great performance every day. 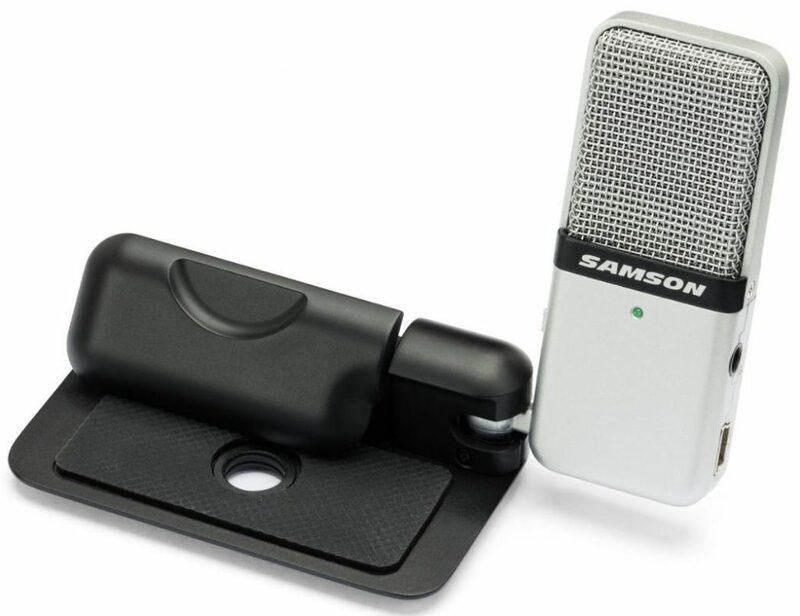 If you have a laptop and need something compact, you can not go any better than Samson’s Go Mic. At that size, it is one of the best condensers on the market.